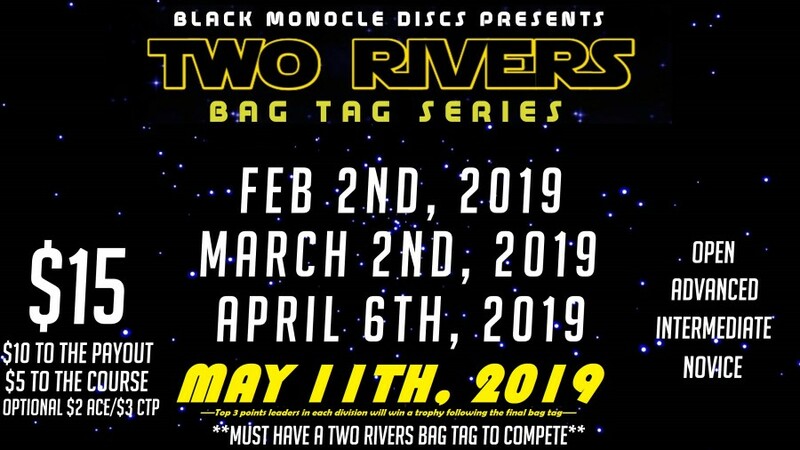 To help raise funds for the Two Rivers DGC, we will be running a fundraiser bag tag series! This is the Final series event. We will hand out trophies at the end of the event to the division points leaders. Entry fee will be $15. $10 will go to the payout of the event and the other $5 will go to the course fund. There will be an optional ctp/ace entry. At the end of the series, we will award the top 3 points leaders in each division a trophy! -If you are at all 4 events, you will get 5 bonus points! 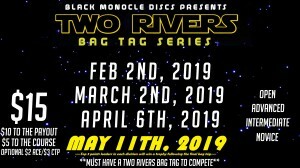 Black Monocle Discs is responsible for all refunds/cancelations.